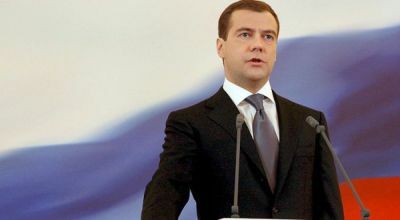 World Technology: Medvedev: Russia's Missiles Can Reach NATO! states of the North Atlantic Treaty Organization (NATO). Russia will also place long-distance missiles in the west and south to block U.S. missile defense system and NATO. This policy was initiated by Medvedev as a form of response from the U.S. and NATO actions that will establish a missile defense system in Europe in 2020. However, Medvedev emphasized that Russia was ready to hold dialogue to end the confrontation and return to work with the U.S. in terms of defense. Similarly, as reported by the Scotsman, Thursday (11/24/2011). Red bear country is also said, will soon operate a missile warning radar in Kaliningrad, a region adjacent to the NATO member countries. "I have been assigned to the operation of the Armed Forces of the Russian radar," said Medvedev. According to the U.S., NATO missile defense system is urgently needed to deal with the alleged threat from Iran is developing nuclear weapons.